What are Audi Genuine tyres? Audi Genuine tyres are at the forefront when it comes to safety, comfort and driving on any road surface. Specially created for each Audi model and manufactured using the latest materials and testing criteria, Audi Genuine tyres ensure both wheel rim and tyre are coordinated to meet our exacting requirements. Audi Genuine tyres also proudly display a mark known as the 'AO' marking. 'AO' stands for 'Audi Only' and marks the Audi approval of quality and safety. The 'AO' marking signifies a tyre that is approved and fitted as an original Audi product. To achieve the ‘AO’ marking for every model, Audi Genuine tyres have to undergo around 50 performance criteria tests. This is considerably more stringent than statutory tyre regulations. 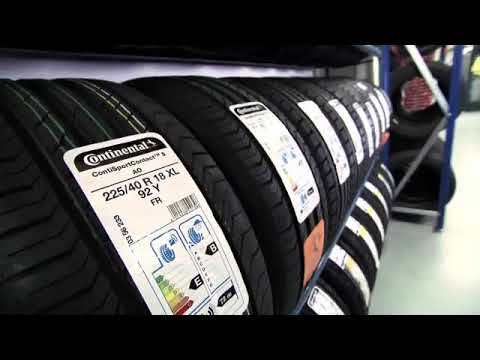 Watch the video to find out more about the importance of choosing the correct tyres.